From the bottom of the ruck: You would be absolutely crazy to miss Ireland V France! You would be absolutely crazy to miss Ireland V France! Ireland's World Cup journey reaches a critical juncture on tomorrow, as they take on France in the final pool match of the tournament. The roue to the final four is basically win all three matches, or win two matches with bonus points - and a good points difference - which is not us...I wonder what will happen if we draw and the other two second placed teams don't get any more points? Anyway, the only way we can guarantee to get into the next round is to beat France. There's a line of logic that says we have a reasonable chance of doing it..my logic! With a four day turnaround, the teams have had to plan a lot of changes to rest players. So Japan probably expected to lose to France, didn't pick their best team, had a player sent off, and got smashed. They play a much stronger team against Ireland, who think it's going to be easy match, and it ends up pretty evenly matched. France play a weaker team against Japan, look fantastic against 14 players, smash a dispirited Aussie side who are saving themselves for Japan, their only chance of a win now, and suddenly are the best thing since sliced bread. Ireland underestimated both Australia and Japan, but when they needed to, dug deep, and came up with the wins. We are, to say the least, battle hardened, whereas France are still to be tested. After taking our eye off the ball against Australia and Japan, could it be more firmly on the ball now? Home advantage is huge, so I'm going with us to pull another one out the fire. Lead ably from the front by Claire Molloy, the REAL Ireland is going to stand up tomorrow, trust me. Nicole Cronin brought alot last match, and will do so again. Do yourself a favour and watch, the first two matches have been absolutely smashing! Ireland v Wales is essential watching! 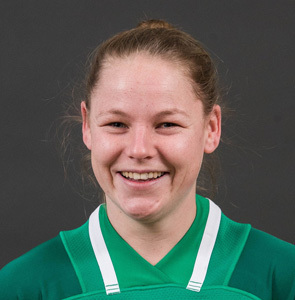 Irish Women's rugby team to take on Australia!